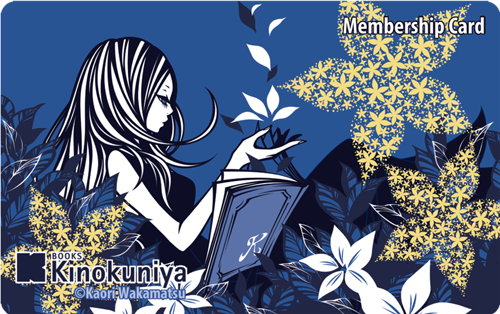 Kaori Wakamatsu, an illustrator, did an awesome illustration for Kinokuniya USA! This illustration is now a new addition to our membership card designs (available in-stores only) and you will not see it anywhere else! She is an illustrator, whose works including character design, goods design, and novel illustrations. She worked as illustrator from 2002 and she is one of successful illustrators from Japan.